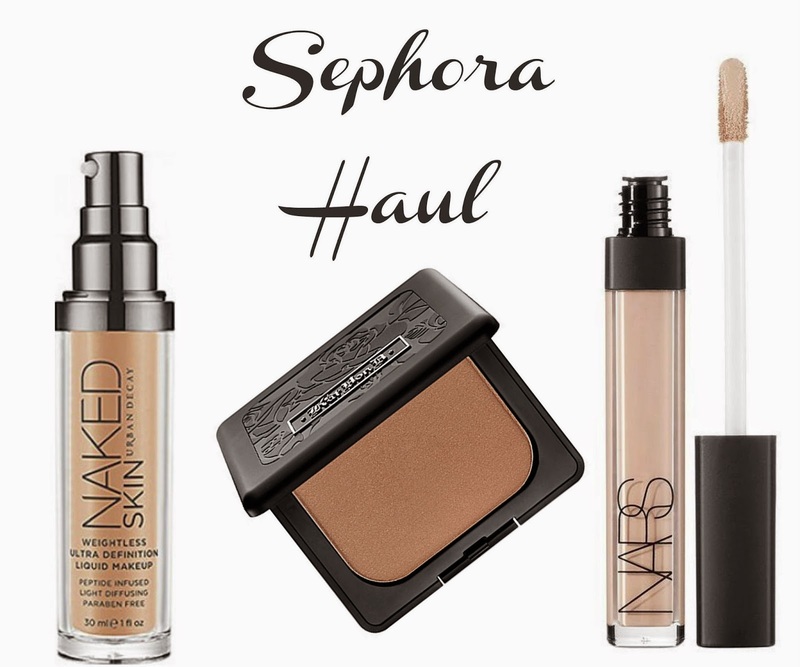 Can you technically call buying 3 products at Sephora a haul?! The day after I got it, I spent every last penny on the card. Kat Von D Everlasting Bronzer - I found this right before I was going to check out. I've been searching for a really good bronzer for the summer time & ran into this one. It comes in 2 shades, a lighter one (Shady Business) & a darker (Shady Business II). The lighter one was already sold out, so I swatched the darker & fell in love. Grabbed the last one! It goes on so smoothly and blends flawlessly! Urban Decay Naked Skin Foundation - I've heard nothing but amazing reviews on this foundation & I was definitely looking for a more lightweight one before the heat of the summer hits. I found the perfect color for my skin tone (3.5) and when I tried it, it was weightless but yet covers and looks awesome. I'm so excited because it really does last all day. Nars Radiant Creamy Concealer - I know I know, this is a cult favorite, but for some reason I've never tried it. Probably because it's $29, but I gave in and thought I'd give it a whirl. Holy moly I'm glad I did! This creamer is thick but not cakey, blends seamlessly & lasts all day long! Even covers my dark circles which isn't an easy task! Now I see what all the rave is about!